What? Small group discussion of conceptual questions interspersed with lectures, increasing engagement and providing formative feedback on student thinking. Students first answer questions individually with classroom response system, then discuss with their neighbors. Why? Peer Instruction is an easy way to add interactivity to a traditional lecture course without making drastic changes. It can get your students engaged and talking, and help you learn and respond to what your students are thinking, both of which can lead to improved student learning. Why not? Peer Instruction is a band-aid on a traditional lecture course structure, which is not ideal for student learning. If you have the opportunity to make a more drastic change to your course structure, or to engage students in working on longer and more meaningful problems, consider doing so. Everything you need to know about implementing Peer Instruction in your class. See our Expert Recommendation on finding good questions to use with clickers or Peer Instruction for an extensive list of databases of Peer Instruction questions, as well as suggestions for writing your own questions. In courses at Harvard taught by Mazur and several other instructors, normalized gains on the Force Concept Inventory are dramatically higher for courses that use Peer Instruction than courses that do not. The normalized gains in courses using Peer Instruction range from 49% to 74%, consistently improving over time as more reformed elements are added to the courses. Scores on the Mechanics Baseline Test, which also tests quantitative problem-solving skills, are also significantly higher in the courses that use Peer Instruction. As an additional test of traditional problem-solving skills, Mazur gave the same traditional quantitative final exam in 1985 and 1991, before and after implementing Peer Instruction. He was hoping to demonstrate only the Peer Instruction did not harm performance on this traditional exam, and was surprised to find a significant improvement: the average score increased from 63% to 69%. E. Corpuz and R. Rosalez, The Use of a Web-Based Classroom Interaction System in Introductory Physics Classes, presented at the Physics Education Research Conference 2010, Portland, Oregon, 2010. C. Crouch, A. Fagen, J. Callan, and E. Mazur, Classroom demonstrations: Learning tools or entertainment?, Am. J. Phys. 72 (6), 835 (2004). C. Crouch and E. Mazur, Peer instruction: Ten years of experience and results, Am. J. Phys. 69 (9), 970 (2001). K. Cummings and S. Roberts, A Study of Peer Instruction Methods with High School Physics Students, presented at the Physics Education Research Conference 2008, Edmonton, Canada, 2008. M. Dancy, C. Turpen, and C. Henderson, Why Do Faculty Try Research Based Instructional Strategies?, presented at the Physics Education Research Conference 2010, Portland, Oregon, 2010. D. Demaree and S. Li, Promoting productive communities of practice: An instructor’s perspective, presented at the Physics Education Research Conference 2009, Ann Arbor, Michigan, 2009. A. Fagen, C. Crouch, and E. Mazur, Peer instruction: Results from a range of classrooms, Phys. Teach. 40 (4), 206 (2002). M. James, The effect of grading incentive on student discourse in Peer Instruction, Am. J. Phys. 74 (8), 689 (2006). M. James, F. Barbieri, and P. Garcia, What Are They Talking About? Lessons Learned from a Study of Peer Instruction, Astron. Educ. Rev. 7 (1), 37 (2008). L. Jones, A. Miller, and J. Watts, Conceptual teaching and quantitative problem solving: friends or foes?, J. Cooperat. Collab. Coll. Teach. 10 (3), 109 (2001). V. Kuo, P. Kohl, and L. Carr, Socratic Dialogs and Clicker use in an Upper-Division Mechanics Course, presented at the Physics Education Research Conference 2011, Omaha, Nebraska, 2011. N. Lasry, Clickers or Flashcards: Is There Really a Difference? , Am. J. Phys. 46 (4), 242 (2008). N. Lasry, E. Mazur, and J. Watkins, Peer Instruction: From Harvard to the two-year college , Am. J. Phys. 76 (11), 1066 (2008). N. Lasry, E. Charles, C. Whittaker, and M. Lautman, When Talking Is Better Than Staying Quiet, presented at the Physics Education Research Conference 2009, Ann Arbor, Michigan, 2009. J. Lenaerts, W. Wieme, and E. Van Zee, Peer instruction: A case study for an introductory magnetism course, Eur. J. Phys. 24 (1), 7 (2003). S. Li and D. Demaree, Promoting and Studying Deep-Level Discourse During Large-Lecture Introductory Physics, presented at the Physics Education Research Conference 2010, Portland, Oregon, 2010. M. Lorenzo, C. Crouch, and E. Mazur, Reducing the gender gap in the physics classroom, Am. J. Phys. 74 (2), 118 (2006). E. Mazur, Peer Instruction: A User's Manual, (Prentice Hall, Upper Saddle River, 1997), pp. 253. S. McKagan, K. Perkins, and C. Wieman, Reforming a large lecture modern physics course for engineering majors using a PER-based design, presented at the Physics Education Research Conference 2006, Syracuse, New York, 2006. D. Meltzer and K. Manivannan, Transforming the lecture-hall environment: The fully interactive physics lecture, Am. J. Phys. 70 (6), 639 (2002). H. Nitta, Mathematical theory of peer-instruction dynamics, Phys. Rev. ST Phys. Educ. Res. 6 (2), 020105 (2010). K. Perez, E. Strauss, N. Downey, A. Galbraith, R. Jeanne, and S. Cooper, Does Displaying the Class Results Affect Student Discussion during Peer Instruction?, CBE Life. Sci. Educ. 9 (2), 133 (2010). K. Perkins and C. Turpen, Student Perspectives on Using Clickers in Upper-division Physics Courses, presented at the Physics Education Research Conference 2009, Ann Arbor, Michigan, 2009. S. Pollock, No Single Cause: Learning Gains, Student Attitudes, and the Impacts of Multiple Effective Reforms, presented at the Physics Education Research Conference 2004, Sacramento, California, 2004. S. Pollock and N. Finkelstein, Sustaining educational reforms in introductory physics, Phys. Rev. ST Phys. Educ. Res. 4 (1), 010110 (2008). S. Pollock, S. Chasteen, M. Dubson, and K. Perkins, The use of concept tests and peer instruction in upper-division physics, presented at the Physics Education Research Conference 2010, Portland, Oregon, 2010. S. Pollock, Transferring Transformations: Learning Gains, Student Attitudes, and the Impacts of Multiple Instructors in Large Lecture Courses, presented at the Physics Education Research Conference 2005, Salt Lake City, Utah, 2005. E. Price, C. De Leone, and N. Lasry, Comparing Educational Tools Using Activity Theory: Clickers and Flashcards, presented at the Physics Education Research Conference 2010, Portland, Oregon, 2010. C. Singh and G. Zhu, Improving students' understanding of quantum mechanics by using peer instruction tools, presented at the Physics Education Research Conference 2011, Omaha, Nebraska, 2011. M. Smith, W. Wood, W. Adams, C. Wieman, J. Knight, N. Guild, and T. Su, Why Peer Discussion Improves Student Performance on In-Class Concept Questions, Science 323 (5910), 122 (2009). C. Turpen and N. Finkelstein, Not all interactive engagement is the same: Variations in physics professors’ implementation of Peer Instruction, Phys. Rev. ST Phys. Educ. Res. 5 (2), 020101 (2009). C. Turpen and N. Finkelstein, The construction of different classroom norms during Peer Instruction: Students perceive differences, Phys. Rev. ST Phys. Educ. Res. 6 (2), 020123 (2010). C. Turpen and N. Finkelstein, Understanding How Physics Faculty Use Peer Instruction, presented at the Physics Education Research Conference 2007, Greensboro, NC, 2007. E. Watkins and M. Sabella, Examining the Effectiveness of Clickers on Promoting Learning by Tracking the Evolution of Student Responses, presented at the Physics Education Research Conference 2008, Edmonton, Canada, 2008. J. Watkins and E. Mazur, Just-in-Time Teaching and Peer Instruction, in Just in Time Teaching: Across the Disciplines, Across the Academy (2009), pp. 39. G. Zhu and C. Singh, Improving students’ understanding of quantum measurement. II. 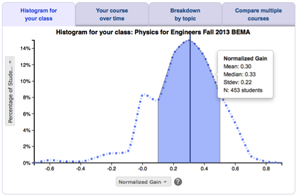 Development of research-based learning tools, Phys. Rev. ST Phys. Educ. Res. 8 (1), 010118 (2012).